We have all been there! 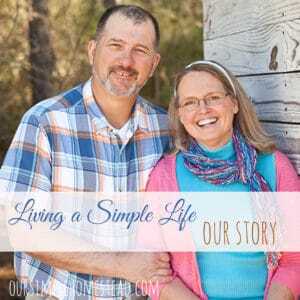 Stressed, overwhelmed and that horrible feeling that our life is spinning out of control! I don’t know about you, but I was on a fast moving train ready to crash six years ago. 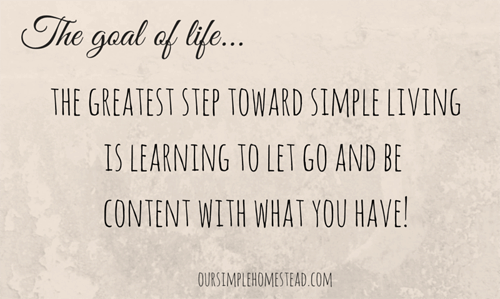 I have since jumped off and have learned and adopted some basic simple living principles that I practice every day. One of the first things I did was take a good look at my home. I tried to create a simple space that was devoid of clutter and distractions. 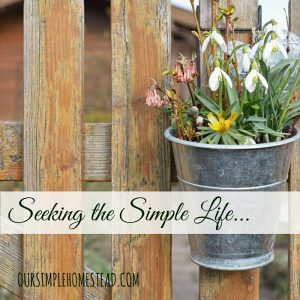 By taking on the modest living approach I have pared down our belongs to only those things that serve a purpose and don’t clutter my environment. It has taken me some time to feel like I have actually made some progress and now as I look back I can contribute my peacefulness to a few life changing aspects. 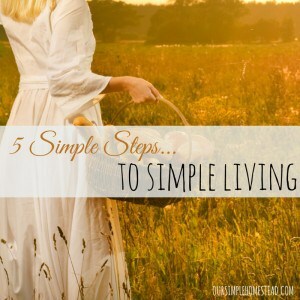 Simplicity – Learning to live on less. For me, it meant passing on collections of things that just took up space. Things I had to clean, store, move and really added no value to my life. It was learning the difference between a want and a need and how to live on just one income. Silence – Reducing the noise in your life by turning off sound in your home. I have found that we enjoy the peacefulness of a quiet house so much more now. When the TV or radio is on the hum of all that background noise distracts me from enjoying the companionship of my family. Now when someone talks we truly listen. Solitude – Find a space that is only yours. For me, it is a daybed in our spare room. It is my space to unwind with a good book, meditate, or to take an afternoon nap. The space is airy, bright and comfortable. I have my favorite quilt and comfy pillows always waiting and ready for some “me” time. Cleanliness – Keeping your home clean is the best stress reliever I know. For me, I have a hard time relaxing if I know there is cleaning to be done. I spend just 30 minutes every day keeping my home tidy, and by doing so I know that I can relax and enjoy my day in my surroundings. Finding YOU – What is it that makes your heart sing? Is it knitting or quilting? Maybe it is woodworking or reading. Whatever it is that you enjoy, find time each and every day to indulge yourself in YOUR happiness. 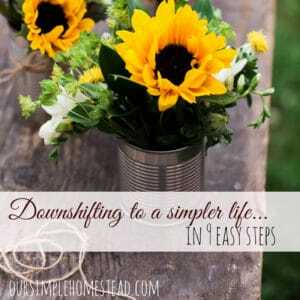 Slowness – Learning to slow your life down can be a real challenge in this fast-paced world we live in. However, if you take just a few minutes every day to enjoy something at a slower pace the stress of the day will go away. Enjoy a quiet walk around the block before you pick up the kids from school, park far away from the store entrance and enjoy a walk through the parking lot. Wash your dishes instead of using the dishwasher. 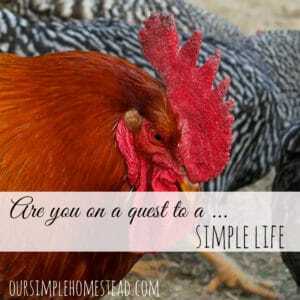 Stop and marvel at the birds in your bird feeder longer or take your coffee outside to enjoy. 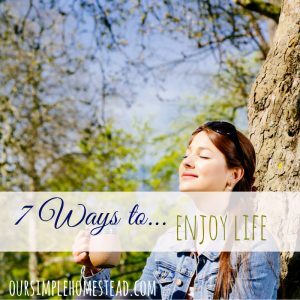 Slowing down and finding ways to add peace to your life is all about embracing the glory that surrounds you. 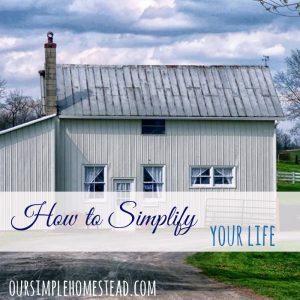 Look for ways you can incorporate simplicity in your life and rid yourself of the un-do stress. 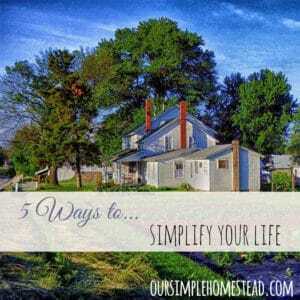 Keeping things simple and uncluttered really does add so much to one’s quality of life. Enjoy! Nice post Tracy. I try to follow similar ideas in my life, though living with a toddler and a house full of animals, “solitude” is hard to come by. Thank goodness for naptimes! I remember when my kids were little I looked forward to nap times just so I could re-charge! Absolutely! I am going to try and work on No. 5 more often. I play piano, sing and write music, but have let it slide since having kids. I’m going to aim for 30 minutes just once a week. It makes my soul happy. I play in our worship band now at church and I love getting back into the swing of things. Great post! Erin that is wonderful! It is the little things in life that make such a big impact on our well-being! My dear Tracy, what a beautiful post! My heart was so blessed to read these words of sweet wisdom. Be still. . . Numbers 1 and 5 are the ones I’ve been really working on recently. We’ve been slowly going through things and giving away or throwing away things that just take up space. And I’ve recently begun crocheting again. Thank you for sharing these encouraging words. I found you on Thrifty Thursday and I needed you in my life today. Thanks for being there! I’m 7 weeks post partum with a newborn and a toddler and this message was a god breeze. Thanks! Well said ! In the end , contentment is what makes for a less stressful life for me, and the tips you gave all contribute to contentment. Thank-you . Slowness….I long for it. I experience it in sweet little bursts and then life speeds up again. I’m finding it is a fight to achieve and maintain slowness in my life. Another lovely list from a kindred spirit! 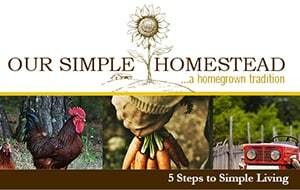 🙂 Thanks for linking up your wonderful posts on the Art of Home-Making Mondays! They always inspire! Great points! Our house full of kids is usually noisy and chaotic, but even we can find ways to slow down and enjoy some quiet time. That makes me smile that you can find time for quiet time even with a house full of kids! Kudos to you!! This is beautiful. 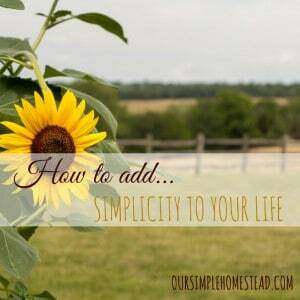 Simplifying has become a bit of a hobby at times. In the process though it has made me a over all healthier person. I find my quiet time outside in the garden with the birds, it’s the best.